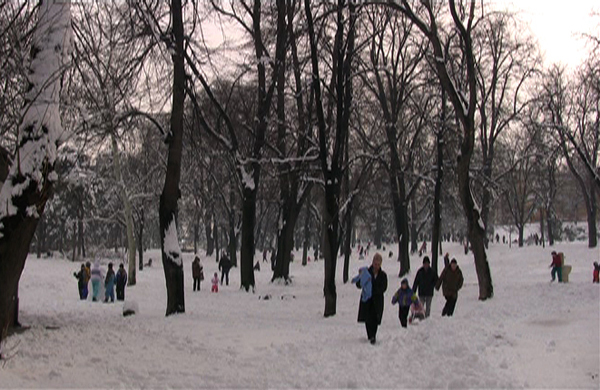 KALEMEGDAN depicts a snow covered park where families have gathered for a day out. The park is located in the middle of the city, but breaks up the social conventions of an urban environment. The previous night´s sudden snowfall creates a different social space. The video was recorded in the historical park Kalemegdan in Belgrade, a site which for centuries constituted the whole city. The video was shown in issue #19-20 of Ett lysande namn.